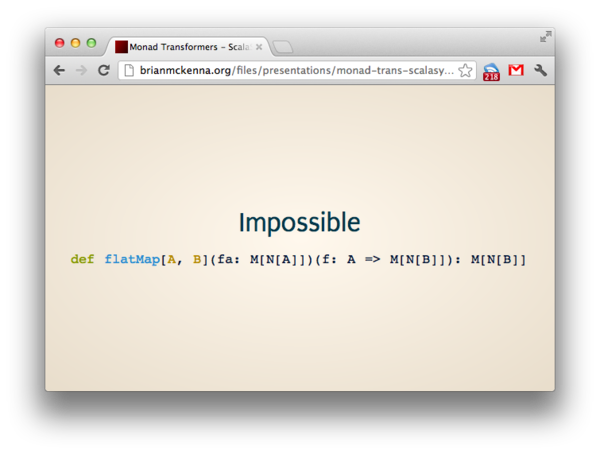 On Wednesday I gave a talk at ScalaSyd about monad transformers. 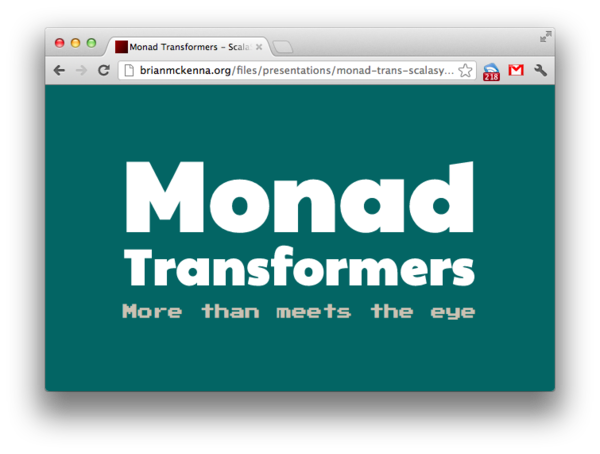 I tried to make it fairly introductory which is a bit tricky to do. There's a much better talk on the subject by Jordan West. 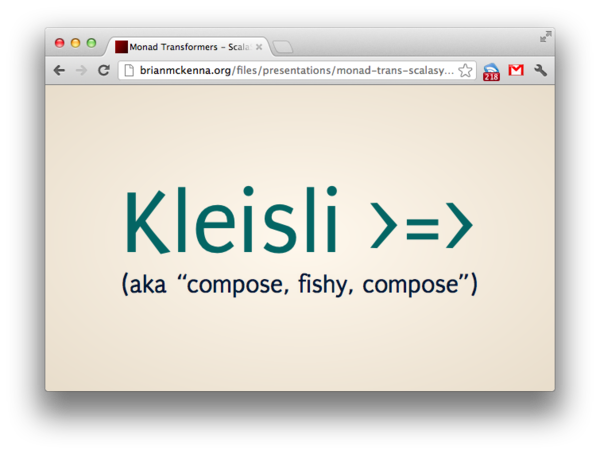 I've posted my slides up here. Some crazy news is coming up in the next few days.